Mediterranean Sea, 1 August 2016. 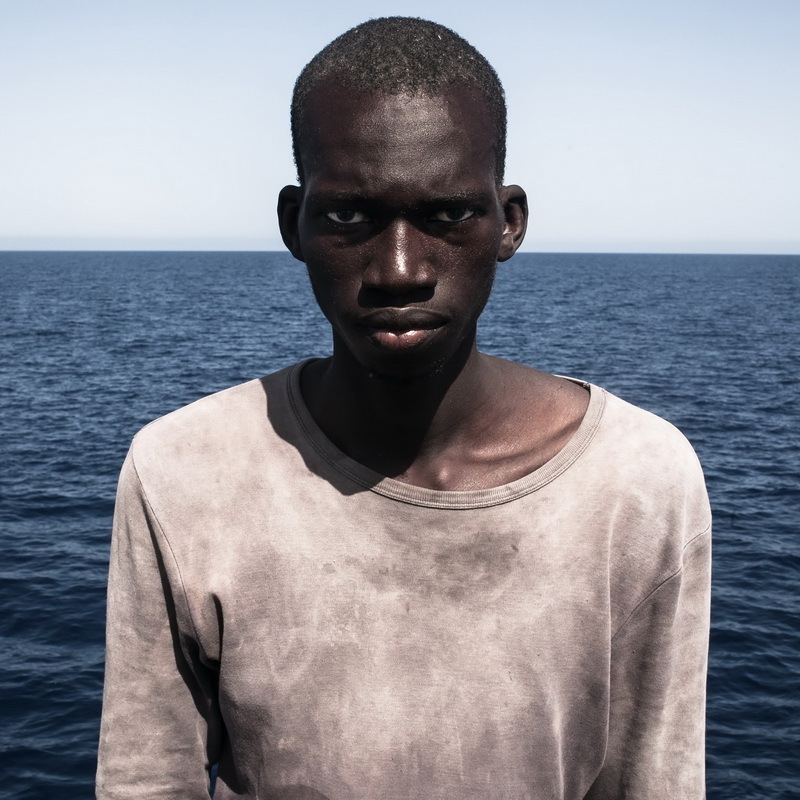 Amadou Sumaila (16), from Mali, poses for a portrait after being rescued on the Mediterranean Sea, 20 nautical miles off the Libyan coast by a rescue vessel provided by the NGO Jugend Rettet. The rubber boat in which he travelled carried 118 people on board, who were transferred by the Italian Coast Guard to Lampedusa.